Rail mounted rodholders can enhance your boat's fishability, but there are certain things you need to be aware of, before putting them in place. 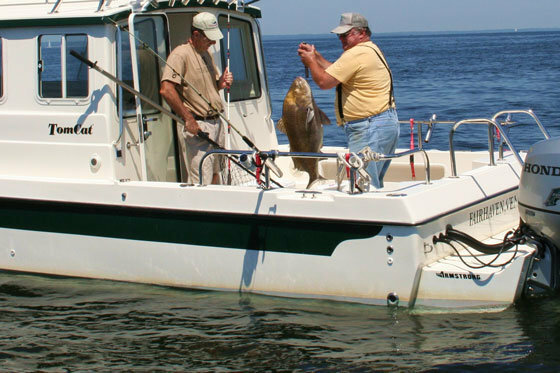 Rail-mount rodholders are a great addition for many fishing boats, but if you haven’t lived with them for extended periods of time, you may not be aware of certain quirks they have. If you’re looking for a quick and easy way to add rod holders to your boat, by all means consider rail-mounts – after taking these factors into consideration. Rail mounted rodholders can enhance your boat’s fishability, but there are certain things you need to be aware of before putting them in place. 1. The exterior rail mount bolts are easy to get to, but the bolt that adjusts the holder’s angle is not. In order to adjust or tighten it you’ll need either an Allen wrench, a Torx wrench, or a unique keyed wrench that came with the holder. DO NOT LOSE THIS WRENCH. After mounting your new holders, store it securely and remember where you’ve put it. Two or three years down the line you’ll need it to tighten up the mount, and in some cases, no other type or size wrench will work. 2. If you over-tighten the mount, it’s possible to crush or crimp your boat’s aluminum rail. There’s no set procedure to avoid this, simply don’t keep cranking after the mount is tightened down. 3. Many rail mounts come with rubber cushions, to prevent scoring the rails. If you purchased mounts that don’t include these, take two wraps around the rail with electrical tape, before putting the mount on. This will help protect the metal. 4. Inexpensive rail mount rodholders sometimes come with sub-par hardware. If you spot it, replace the hardware with stainless-steel. In any case, it’s always a good idea to give the mount, holder, and hardware a wipe-down with a cloth soaked in a corrosion-inhibitor (like CorrosionX or Boeshield T-9). 5. Whenever you troll for large species with rods in rail-mounted rodholders, be sure to loosen the drag. Rail-mounts are secure, but under a certain amount of stress, they can change angle or spin on the rail. If you have the drag set tight and a large fish strikes, that can mean losing both the fish and the rod. BONUS TIP: Don’t put rail-mounted rodholders on the outside of the rail if they protrude beyond your boat’s rubrail. If you do, you may sheer one off when you come alongside the dock.